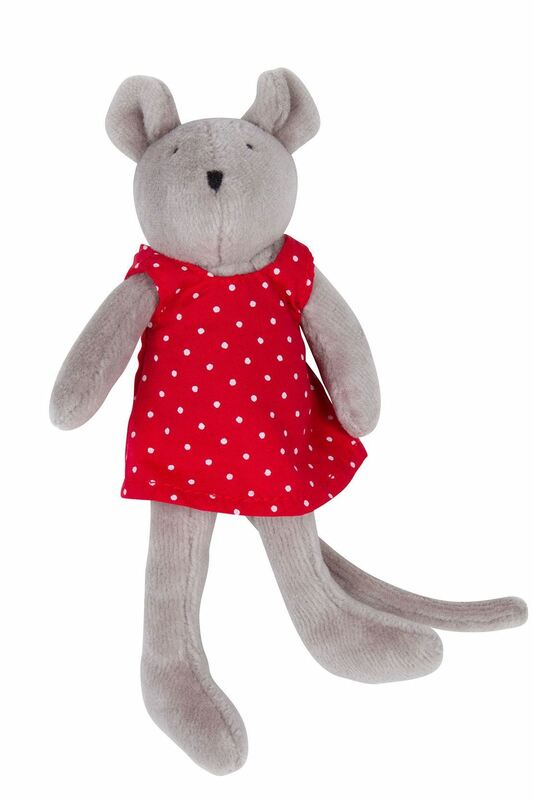 Introducing 'La Grande Famille Nini Mouse Mini' by Moulin Roty, dressed in a removable red spotty pinafore, she certainly is one of the cutest of the La Grande Famille range. Introducing 'La Grande Famille Nini Mouse Mini' by Moulin Roty the renowned French soft toy company. She comes in a red cotton pinafore with white polka dots and trimmed with a floral patterned hem. Her pinafore is removable (it ties at the back with a bow) so she can be dressed and undressed, and her facial features are embroidered for safety.